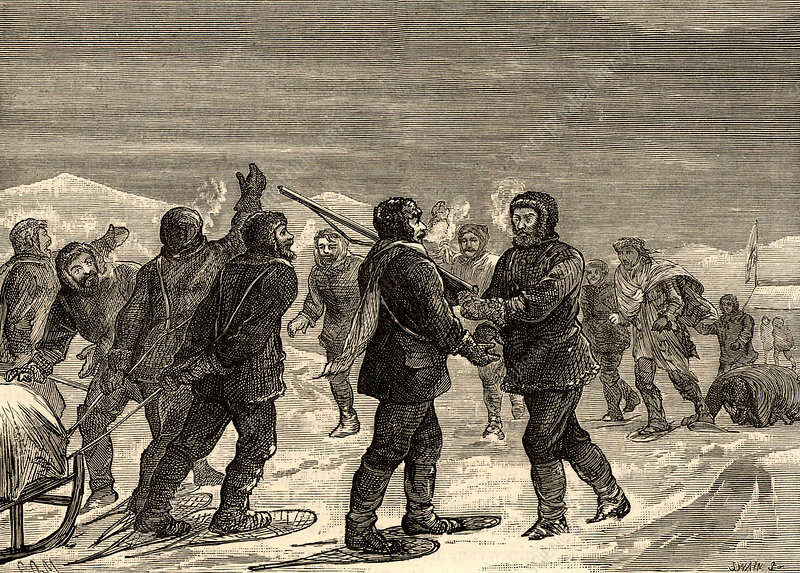 British overland Arctic expedition led by Sir John Franklin (1786-1847) 1819-1822. North American Indians sent by George Back arriving at 'Fort Enterprise' with help for the starving Franklin, Richardson, Hepburn and their three surviving companions. Engraving from Heroes of Britain by Edwin Hodder (London, c1880).